Lots of students graduate from colleges all over the country with lots of debt in the form of student loans. 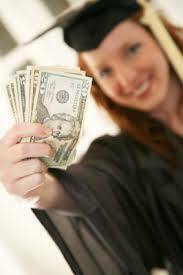 The primary strategy for saving money when paying back these loans is to consolidate multiple student loans into one loan with a (hopefully) lower interest rate which will reduce the amount of interest you are paying on the loan(s) and will also lower your monthly payment. 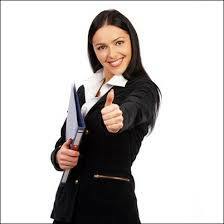 You truly can save thousands of dollars by consolidating student loans. But, there are other, lesser known ways to save even more money out of your pocket when paying back student loans. The biggest and most diverse program is AmeriCorps, which offers more than 75,000 positions each year. As a member of AmeriCorps, you can defer your student loans and receive a taxable grant of $4,725 per year for up to two years toward repaying them. AmeriCorps is a network of local, state, and national service programs that connects more than 70,000 Americans each year in intensive service to meet our country’s critical needs in education, public safety, health, and the environment. The Peace Corps, AmeriCorps’ international cousin, has more than 7,000 volunteers working around the world in fields such as business development, health, agriculture and education. In return for a two-year commitment, you can defer your federal student loans. Perkins loan borrowers may have 15% of their loans forgiven for each year of service. To recruit and retain highly skilled employees, some federal agencies, including the departments of State and Justice and the Securities and Exchange Commission, offer employees a maximum of $10,000 per year (up to a total of $60,000) in student-loan repayment. These government programs can be difficult to find and get accepted into. But listen to this: enlisting in the Army National Guard qualifies you for $3,000 a year in student-loan forgiveness, up to a total of $20,000. Now almost anyone can avail themselves of this program. If you happen to be a new young doctor each year the National Health Service Corps pays 4,000 health-care professionals to work in underserved communities. Health-care professionals qualify for loan-repayment assistance of up to $50,000 for a two-year commitment. If you are a newly graduated nurse, in return for a two-year commitment in areas where there’s a shortage of nurses, you can wipe out 60% of your student-loan balances with awards from the Nursing Education Loan Repayment Program. In addition, 38 states offer loan-repayment programs to retain primary-care personnel. And some private hospitals use loan repayment as a recruiting tool. For information on health-related programs, go to the Bureau of Health Professions. About 90 law schools offer loan-repayment awards to graduates who work in public service or other low-paying fields. I found one example where a young law school graduate working for a Legal Assistance Foundation in Chicago received a fairly good salary plus $14,500 in assistance one year to help pay off her student loans. It seems to me that the term ‘free will’ is one of the most manipulated and exploited terms. The real explanation of free will is not that you have free will but that your will can eventually make you free, that will can liberate you, that will can release you from slavery.